Below are the archived series and messages from teachings at The Bridge. We pray these messages will bless you and encourage you in your walk with Jesus! We’ve started a new series through the book of Colossians, a letter written by the Apostle Paul to a church he’d never been to! In an effort to encourage the church in Colossae, Paul writes to them to build up their faith, build a case for the preeminence of Jesus, refute the false teachers of their day, and show them how to live lives that are pleasing to God. Take a listen to the messages every week, as we learn how to be complete in Jesus. Check out this message from Pastor Rob on “Adding” to your faith! It was a great teaching on closing out 2018 and setting spiritual goals in 2019! "Does she like me?" "Isn't he supposed to be the one pursuing me?" "Why are boundaries important when serving or dating?” “How do I know if I’m ready for marriage?” These might be a few questions that you've heard, or have even asked yourself. So what does God have to say regarding singleness, dating, and marriage? Check out this series called “THIS IS US” where we invite special guests to come and share their testimonies of God’s faithfulness in their marriage, relationship, and family. The Christian is not exempt from failures, trials, and suffering. Some of these things are a direct result of sin, while others come simply because we live in a fallen world. As believers in Jesus, we strive to be more like Him but there will be moments of doubt, sadness, or even pain. What do we do when we feel as though we're alone or abandoned, or worse yet, neglected by God? Join us in this series called "Down & Out." Bring your Bible, and invite a friend who doesn't yet know Jesus! We have been given a command to go and make disciples, to share the Good News that salvation has come and His name is Jesus! But too often many of us are timid, nervous, or fear rejection. Sometimes we might even feel inadequate to share our faith. Listen to this message and learn how to have a simple conversation with unbelievers, in hopes that they would come to know Jesus as Lord and Savior. Everyone grows old, but not everyone grows up. God's goal for us is that we would become mature in our faith. The way He can bring out maturity from us, is by allowing us to endure trials and testing. Join us Fridays as we go through a series in the book of James called, "Grown Up." We'll be looking in the Bible at how we can grow to be mature believers in the faith. Jesus says that we can know others by their fruit, or simply put, their actions will determine whether they truly belong to God. So, what kind of fruit do you bear? Is it sweet? Is it bitter? Can others see God working in your life? 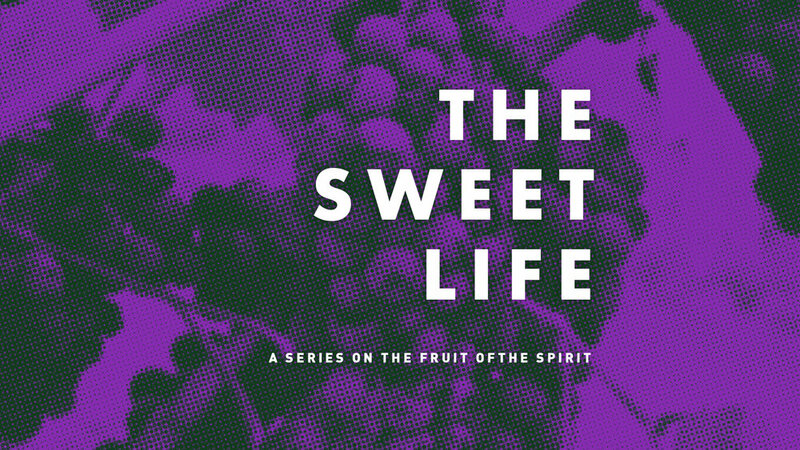 Check out this series on the Fruit of the Spirit! One of the greatest differences between Jesus and the religious people of His day, was that He was willing to engage with the outcasts, the sinners, and those rejected by society. It's this same sort of compassion for the lost, that can enable us to step out of our comfort zone to be like Jesus, a Friend of sinners. Am I really commanded to tithe? What do I give as an offering to God? Is it possible to out-give the One who has given us everything? God has graciously given us our time, talents, and treasure and the responsibility of being good stewards with each of those things. Check out this message to learn what it means to be a "cheerful giver." Our greatest need is forgiveness, and thankfully we have a great God who's in the business of forgiving. In a time when there's a lot of hurt and pain in the world, we can find healing in God's Word. Check out this series where we examine forgiveness with God, forgiveness with others, and forgiveness with self. Communion—what is it? Why do we as believers partake in communion and how often should we do this? What's the significance behind the bread, and the juice/wine? Check out this two part series on communion! How was your 2017? Was it better than the year before? Did you reach goals that you set out to accomplish? What's your New Year's resolution? Check out this message about how we can set up the right goals with the right vision and Godly wisdom! There's a difference between joy and happiness—one's internal and the other is external. Joy is something you can experience because of your position in Christ, whereas happiness is determined by things that surround you. Join us on Friday nights as we dive into a series through the book of Philippians, learning to find joy in every circumstance. What is the Bible? Who is God? Why is there suffering in the world? Come join us on Fridays as we examine the essentials of our faith, and dig deep into what every believer should know. Whether you've been walking with the Lord for years, or you've only recently dedicated your life to following Jesus, every believer should know why and what it is they believe in. How's your faith? Is it lacking? Does it overflow in your life? Are you a "seeing is believing" kind of person? Check out this series and be encouraged and challenged in your faith with God. Your 'mission-field' is wherever God has placed you! Check out the message below and be encouraged by the some of the missionaries who served on the recent mission trip to Haiti. How are you with directions? How about with giving certain things up? Everyday we have the opportunity to choose to follow God as we read His Word, or follow trends as we scroll and swipe through social media. Check out how we can practically pursue Jesus in the series called "Follow Me." Is He a miracle worker? Is He a good teacher? Jesus is all that, and so much more! Join us in this new series called "Who Is Jesus?" We'll be examining the different claims that Jesus made about Himself through God's Word. We're called to share the awesome love of Jesus with the rest of the world, this is called evangelism. Hear from some of the team who recently went on a mission trip to the Philippines as they encouraged us to step out in faith! Are you in a trial right now? Maybe you're in a storm that you feel like you can't get out of? Why does God allow tribulations in our lives and what can we learn from them? Check out this series called "Trials, Tribulations, and Tragedies." Jesus has commanded us to go and share the Good News! Check out this message to learn about what it means to be "Mission-Minded" and hear from some of the team from their backyard mission trip! When's the last time you talked to someone you care about? How would you rate your level of communication? As believers, we "talk" to God through prayer. Check out the message below as we discovered what prayer is all about. On a scale from 1-10, how strong are you? Would you say you're in pretty good shape, or you could use some working out? The Bible tells us that we ought to find our strength in God, not in ourselves. Listen to the series called "CrossFit" to learn what real strength looks like. Did you know that as followers of Jesus, He's given us a command? We're to go out into all of the world and make disciples, sharing with others about the Good News! Check out this message to learn about what it means to be "Mission-Minded" and hear from some of the team from their mission trip to India. Most people, if not all, have a universal desire—to be loved! But what is love, and why does it sometimes require a lot of work? Before we can talk about dating and marriage, we should observe our relationship with the One who created us! 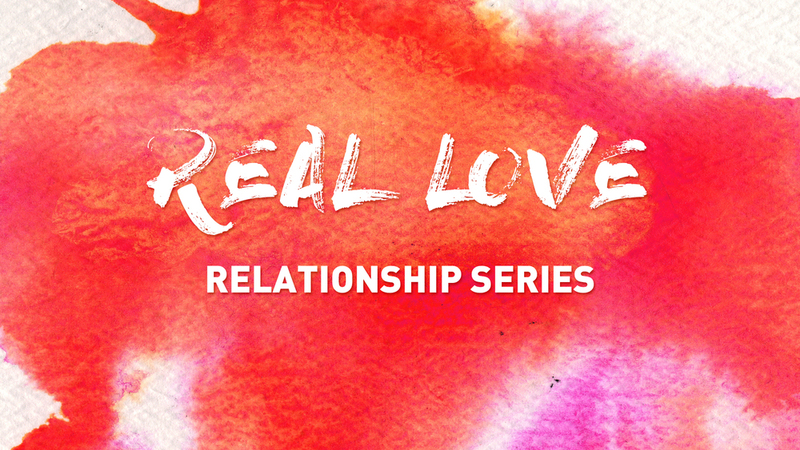 Check out the series called "REAL LOVE" to find out what true love looks like!